Size is the normal Les paul Humbucker. I picked these up for a Jaguar Special, and they didn't disappoint. Nice and clear tone, not overly hot, and a nice fatness. 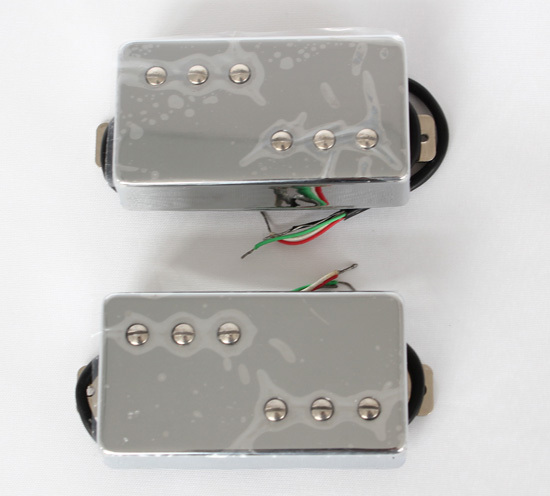 The split coil design sounds a good bit different than a traditional humbucker, despite still being Alnico-V. They sound great clean or dirty and brought the guitar back to life. I highly recommend them, as well as EY!